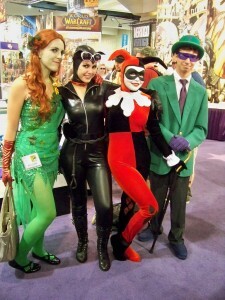 Comic-con is the hottest and most populated convention in San Diego, selling over thousands of tickets each year. As a filmmaker, Comic Con provides a great opportunity to learn from the best in the industry. Tickets do not come easy, however. In 2014 alone, badges completely sold out in less than two hours, leaving many people disappointed. If you’re interested in attending Comic-Con 2015, you need to plan months ahead. Here are a few tips to purchase your Comic-Con badge for 2015, before they sell out. First, get online right away and sign up for a Comic-Con Member ID; this qualifies you for “Open Online Registration” and guarantees you will receive email notifications for ticket sale dates. Next, wait for Comic Con International to send you a registration date and time via email. They will notify you 48 hours in advance of the ticket sale, so check your email often. If you follow these steps, you’ll have a better chance of securing a badge to the hottest event around. Specifically for cinematographers, Comic Con is a wonderful networking platform. The convention holds panels, discussions, and even film classes to inspire and generate the next top shot directors. Their advice can help you get on your feet and producing films in no time. And if you are just starting out, don’t sweat. This convention is supposed to bring out your passion, not lock it inside a cage. So, take this passion and start your film. Whether you begin on YouTube, or simply begin sharing your film with family and friends, that first step will launch your drive for film. 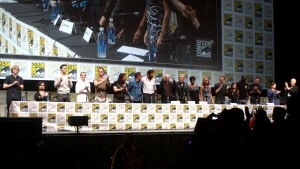 Comic Con provides access to so much: actors, actresses, directors, producers, writers and more. It’s definitely worth taking the time to go see. And if you are looking for inspiration, see how other films and shows strategize and come up with film ideas. You’ll be surprised how much stars and producers share. Plus, there are typically question and answer segments, so if you’re burning with desire to know something, just ask. Sounds simple enough. There is something for everyone at Comic Con. With the range of panels, booths, discussions, signings, and meet and greets, you are surely getting your money’s worth. It’s great for all generations, adults, teens and even kids. You can dress up, receive free goodies, meet many many people, and just have a wonderful time. I guess you can say it’s kind of like the Halloween of July. So, have fun and release you’re inner nerd. Explore what all of Comic Con has to offer. You won’t be disappointed.